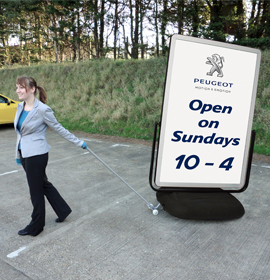 A 40” x 60” poster display with steel cradle for movement in the wind. 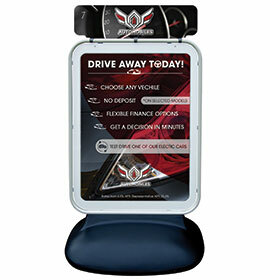 White ‘Frameworkz’ frame as standard – available printed or with vinyl application for brand ownership. 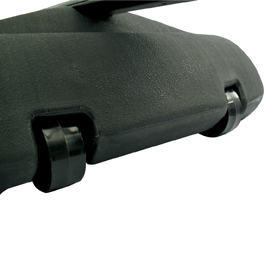 Description All your Cyclone 2 will be sent as individual units by parcel delivery. 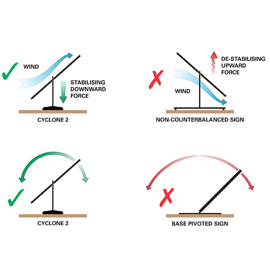 Your Cyclone 2 will be sent in two separate deliveries – one by pallet, one by parcel. 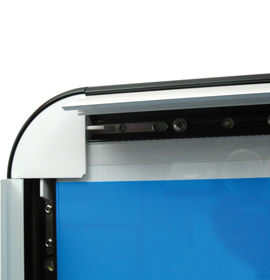 Stable and stylish, robust and refined. 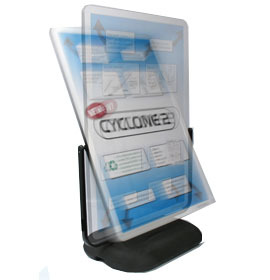 Cyclone 2's unique counter balanced panel deflects wind safely and creates interest through movement. 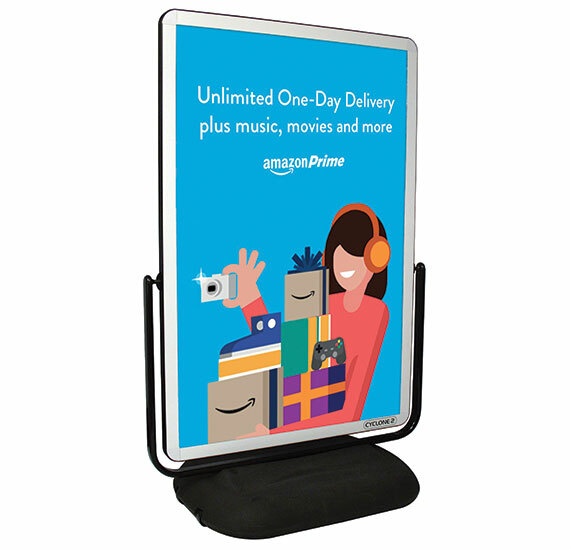 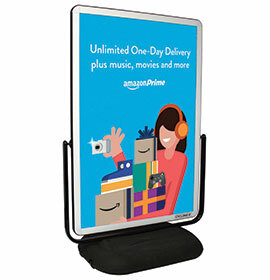 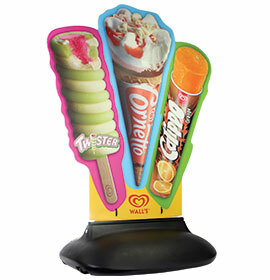 Double sided 40” x 60" poster display. 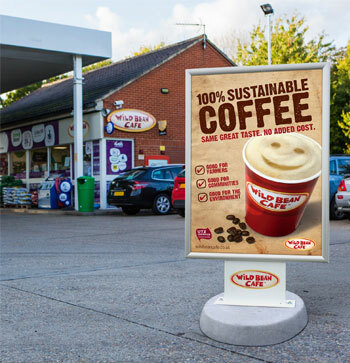 White ‘Frameworkz’ frame as standard – available printed or suitable for vinyl application. 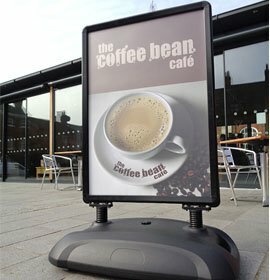 700 micron PET poster covers give excellent clarity, fixed along top edge for ease of poster change. 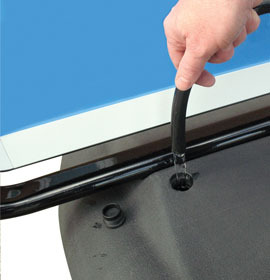 Robust water-fillable HDPE base for optimum stability (57.5 litre capacity). 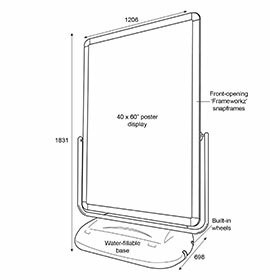 Round corners throughout for safety. 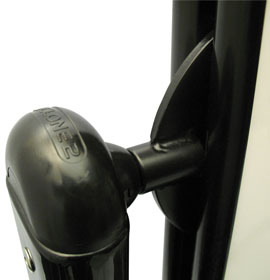 Built in wheels for ease of movement. 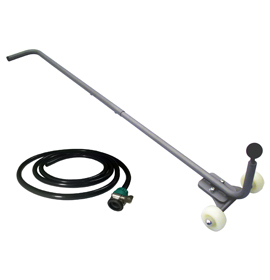 Also available - purpose designed trolley, to assist in moving unit, and hose with tap connector for convenient base filling.